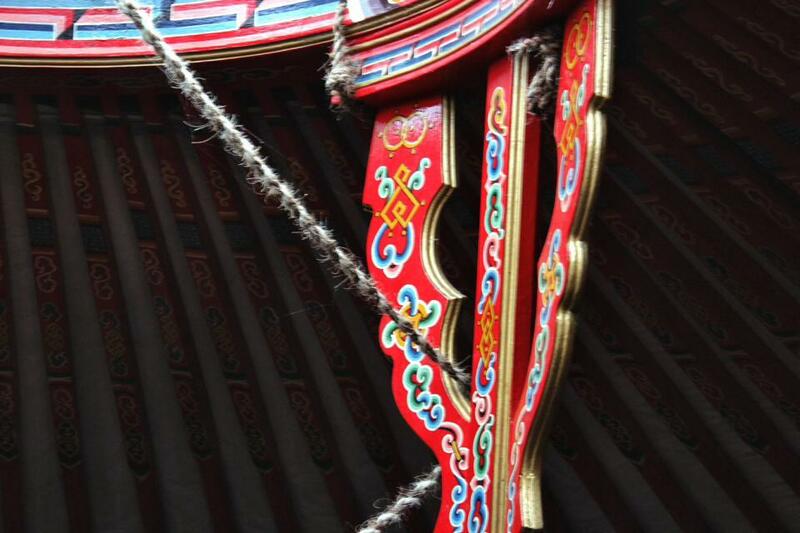 The beautifully painted Yurt sleeps up to 7 and is ideal for larger groups. If you would like to be Self-catering, you are welcome to use our well equipped community kitchen. Let us know if you are interested in a healthy vegetarian breakfast including eggs from our chickens, homemade bread and locally sourced fruit for an additional cost of 8 euros/person/night. Access to communal kitchen with gas hob, sink and fridge. Located just next to the natural swimming pool and sand beach. Spectacular view up the pine forested valley to the Sintra mountains. A donation of 50€ per night based on 2 person occupancy. (€10 per night per extra person -maximum 7 people). Minimum stay 2 nights. 35€ cleaning fee. Contact us for weekly rates. For dates please send an email and we will get back to you as soon as possible. 'I have spent many a holiday in this wonderful part of Portugal, whether it is part of a large group or just as a few. The land itself is fantastic and the hospitality even better. The beach is relatively near, the local towns of Sintra and Cascais a small journey away by car. Whether you are looking for a relaxing holiday, exploring the local surroundings or an extensive itinerary that involves volleyball, surfing, horse riding, then this is the place to be! Denise and Jon are superb hosts!